The Minister of Planning, Nuri al-Dulaimi, on Thursday, with a number of provincial governors ways to overcome obstacles to the implementation of projects for the current year. The ministry said in a statement received by “Economy News” that the Minister of Planning presided over “an expanded meeting involving the governors of Baghdad, Basra, Babylon, Anbar, Karbala, Najaf, Diwaniyah, Muthanna, Wasit, Maysan and Dhi Qar, , Indicating that the meeting discussed “ways to overcome the challenges facing the implementation of projects in the governorates for the current year, according to the budget allocations of 2019, which allocated 70% of the projects ongoing implementation, and 30% of the new projects, Including municipal service projects, and the health and education sectors “. Deputy Prime Minister for Economic Affairs and Minister of Finance Fuad Hussein, Thursday, Iraq’s quest to activate the strategic framework agreement in the field of trade and investment. 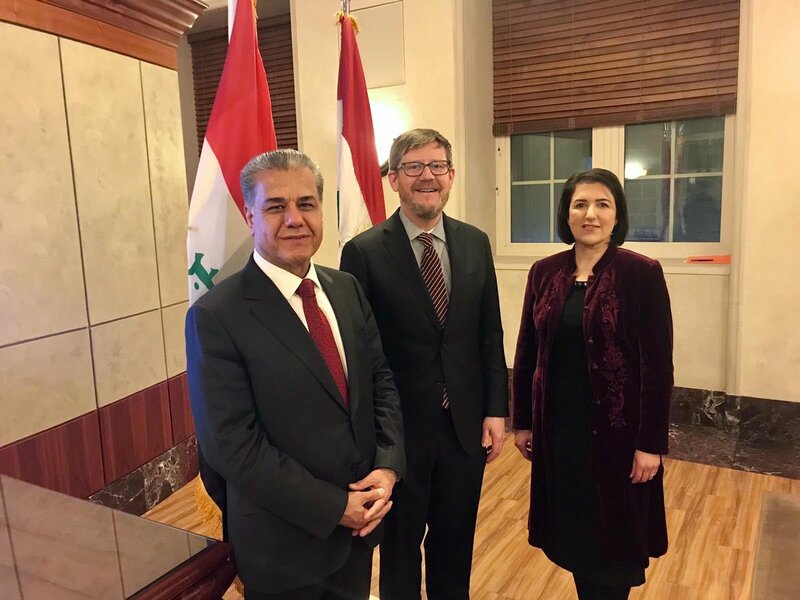 “The minister received the Charge d’affaires of the US Embassy in Iraq, Joe Howard, to discuss the bilateral relations between Iraq and the United States of America and the plans of the Deputy Prime Minister to head the Iraqi delegation to the meetings of the World Bank and the International Monetary Fund,” the media office of the Ministry of Finance said in a statement. Will be held next April in Washington, DC “. “During that visit, he will meet the Deputy Prime Minister with senior officials from the United States, the international community, officials of the World Bank and the International Monetary Fund and hold meetings with US trade representatives on the resumption of bilateral trade and investment talks,” he said. (Reuters) – Syria’s democratic forces, backed by the Kurdish majority backed by the United States, vowed to declare a “full victory” over a week-long campaign. The statement was made by Mazloum Kubani, commander of the Syrian Democratic Forces, in a video released Thursday. The Deputy Prime Minister for Economic Affairs and Finance Minister Fuad Hussein, on Thursday, with Joy Hood, charge d’affaires of the US Embassy in Iraq, to provide a safe and attractive environment for investment in Iraq, while Hussein said that the Iraqi government is continuing to prepare plans to implement the government program as well as start planning and preparing a law Budget for 2020 . “The Deputy Prime Minister for Economic Affairs and the Minister of Finance received the charge d’affaires of the US Embassy in Baghdad, Joe Hood and the accompanying delegation,” said the press office of the Prime Minister in Baytan received, the Economist News, a copy of it, noting that “the two sides discussed during the meeting bilateral relations between Iraq and the states And the plans of the Deputy Prime Minister to head the Iraqi delegation to the meetings of the World Bank and the International Monetary Fund, which will be held next April in Washington, DC. “During that visit, the Deputy Prime Minister will meet senior officials from the United States, the international community, World Bank and IMF officials and hold meetings with US trade representatives on the resumption of bilateral trade and investment talks,” the office said. Today was a historic day for Trump’s presidency and for the history of the United States. Unfortunately, the entire day was about lying Michael Cohen and his attempt to snake his way out of jail. Trump just announced a massive $15.7 Billion win from Vietnam and the media won’t even talk about it. Check it out. 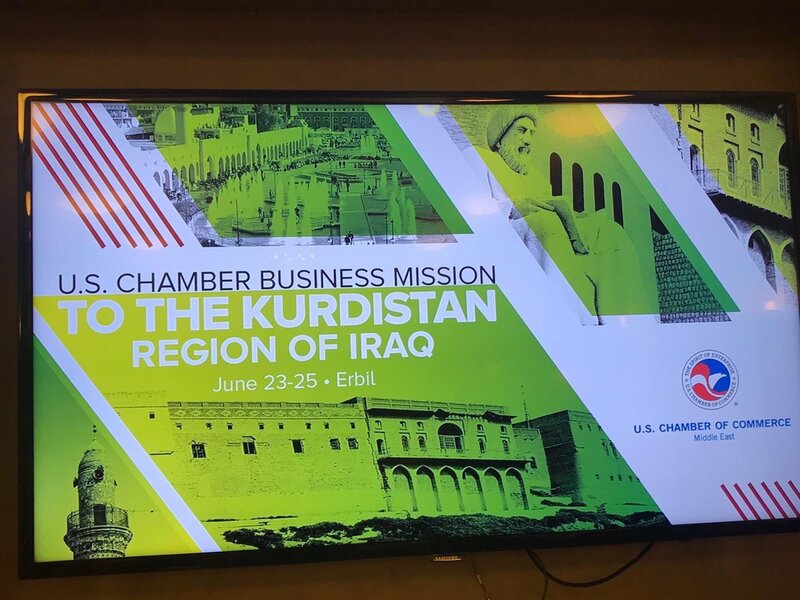 Held at the Peace Palace in Baghdad and at the invitation of President Barham Salih, on Wednesday, the National Consultative Meeting. The spokesman said that the meeting discussed the political and security developments, the latest developments in the war against terrorism, the situation of the military presence in the country, the implementation of the government program and work to overcome differences. “The meeting discussed the need to adopt visions and ideas that help the decision-makers in the administration of the country and achieve its rise and prosperity and solve the problems that stand in the democratic process in Iraq,” he said. The meeting also touched on the basic legislations that concern the citizen and the relationship between the legislative and executive authorities. 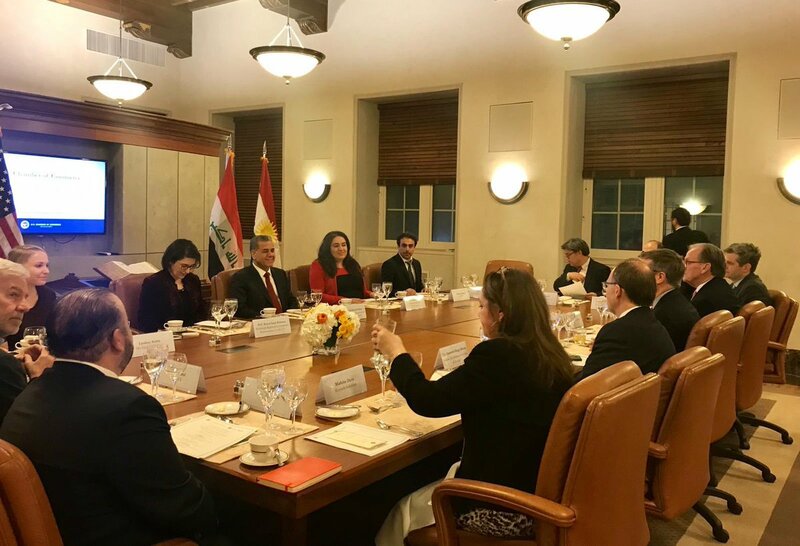 “Most of the invitees discussed the agenda and its impact on opinions and proposals, stressing that meetings should be held periodically in order to approach points of view that would bridge the gap between the political parties and contribute to laying the principles of democracy and justice in a federal Iraq,” he said. “The meeting stressed that the priorities of the Iraqi leaders to preserve the sovereignty of the country and pursue a policy of self-exclusion and move away from the policy of axes and distance the country from regional and international conflicts and conflicts and be a platform for meeting the interests of the Iraqi people and work to adopt the slogan of Iraq first. 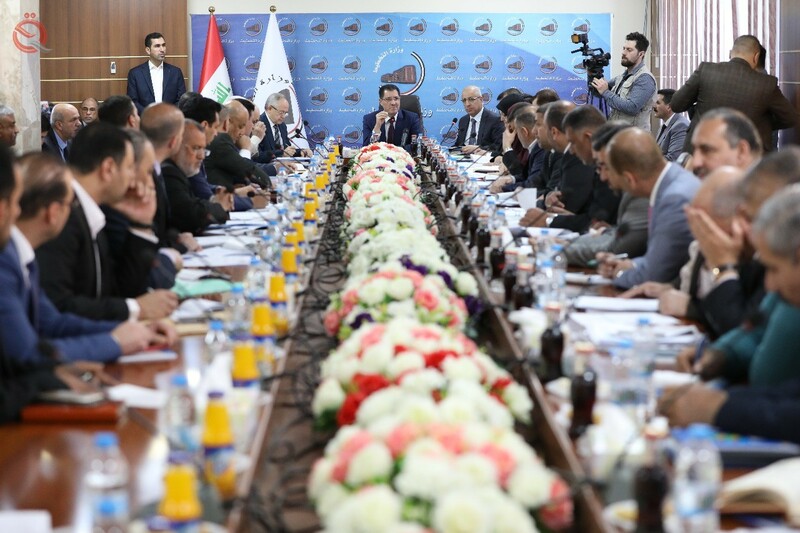 The spokesman added that the meeting was attended by the presidents of the republic, deputies and ministers, the Supreme Court and the Federal Court and leaders of blocs and political parties and national figures and representatives of various components of Iraq.